Gritty! Funny! It’s Honey Beaulieu! Honey Beaulieu grew up in her mama’s whorehouse, the Tasty Chicken, which serves up the finest food, whiskey, and women in Wyoming Territory, but Honey takes after her crack shot Pa–and she doesn’t back down from anyone or any thing. Determined not to make her living on her back, Honey does her best to keep the peace in Fry Pan Gulch, but a deputy’s salary won’t buy her a home. Once she’s adopted by a donkey and then a pickle-eating mule, she sets out to collect a bounty on one of the town’s annoyances. The owlhoot leads her on a dangerous chase. Can Honey persevere despite a wise-cracking ghost who manages to disappear when she needs him, and a handsome U.S. deputy marshal who doesn’t seem at all put off that she’s so scrawny? 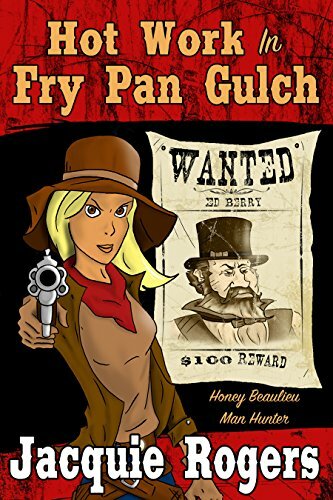 Don’t miss this rollicking ride into the Old West—get your copy of Hot Work in Fry Pan Gulch today! Now, it didn’t seem right that all the other business owners had paid up, and naturally the marshal was nowhere to be found, so collecting the taxes from Wakum would take a little different tactic. My brown calico dress and bonnet didn’t fit my plans. One thing he didn’t know was my papa had learned me a thing or two, more than most women, or men for that matter, ever knew about shooting. So I went back to my room at the Tasty Chicken and changed to my practice clothes: buckskin britches, flannel shirt, a vest with pockets for cartridges, and my gunbelt. Papa had given me his old Peacemakers but they were still in fine condition, oiled up plumb nice, and worked slick as a daisy. I slipped them into their holsters at my hip, tied down, and set off for Wakum’s place. We was gonna have us a set-to and it would end with me collecting the tax money he owed. That’s the way it was gonna be. Twenty minutes later, I walked back into Wakum’s tent and stood at the ready. He never paid a bit of mind to me and continued polishing a pistol. All right, then I’d wait. After a spell he said, “State your business.” He still hadn’t looked up yet, and I couldn’t see his face for the brim of his beat-up old Stetson. Finally he looked at me, a flash of surprise giving him away. Papa always told me every man had a tell. Some hid theirs better than others, but they all had one, and your life could depend on whether you could read it right. Well now that pissed me off. Not just the ‘not paying’ part, but especially the ‘little miss’ part. I’m scrawny, but I’m tall as the average man. Tall as Wakum, maybe taller. I take after Papa in that regard. “You’re barking up the wrong tree, little miss.” He pointed the pistol he’d been working so hard on and cocked it. I didn’t waste no more breath. In a flash, my gun hand pulled and fired. His beat-up hat now had a nice round hole in it. Hot Work in Fry Pan Gulch is a fantastic story. It is a great women’s fiction coming of age story set in the Old West with a powerful female lead that takes no nonsense from anyone, but manages to maintain a great heart throughout. The story is written in first person and you can almost hear Honey’s drawl as you read. As you can tell from the snippet, there is some language in the novel and some topics within are pretty heavy but since Honey grew up in a pretty interesting situation, she manages to look at all of life with this wonderful salt of the earth outlook. If you are looking for a great female lead character with western salt and pepper, please give Honey Beaulieu a few hours of your time. She is worth it. A great story, I highly recommend. I received this book free for an honest review, which I have given. Jacquie Rogers grew up in the heart of Owyhee County where the Old West is still alive. In fact, she had a rootin’ tootin’ good time with her friends at Silver City, Idaho, June 17-19, 2016. She has written nine novels and over twenty novellas. 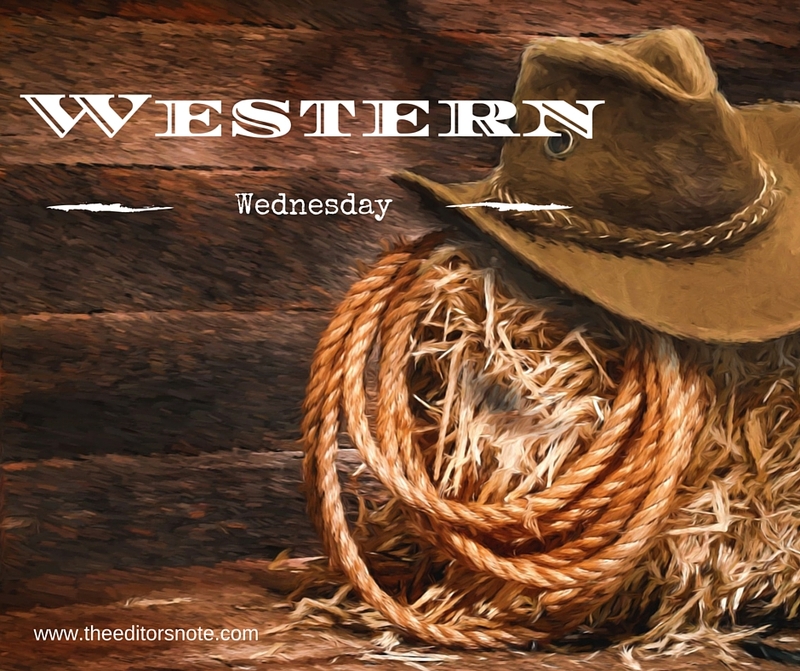 Her books have won several awards, including the Laramie Award for Best Humorous Western Romance. Contact her at jacquierogers@gmail.com or snail mail at Jacquie Rogers, PO Box 34, Homedale, ID 83628. The law was a bit sparse in the Old West, often not a lawman around for hundreds of miles. If a criminal knew how to live off the land and he owned a fast horse, he was pretty well guaranteed an escape. What’s a sheriff to do? Heat Rating: Hot Work is not a romance so it doesn’t have a heat rating, but it does have some situations and language. Ruthless just like most men are but also knowing that not all people are bad. That’s Honey! Thanks for stopping by, Kim, and good luck in the drawing. You know I so enjoyed this story and am impatiently waiting for the second book. I also already own this one. Thanks, Doris! Sidetracked in Silver City is at the editor now, so you don’t have long to wait. I’ve not read this or anything by this author so I’m hoping I win this and get to! Word of warning when reading a Jacquie Rogers book do not drink anything while reading, it may come out your nose from laughing so hard… Or you may see you all over your Kindle or your paper book. I found out this the hard way. Good luck, Margie, and thanks for stopping by! Winner is Margie! Jacquie will be contacting you by email. Congratulations!